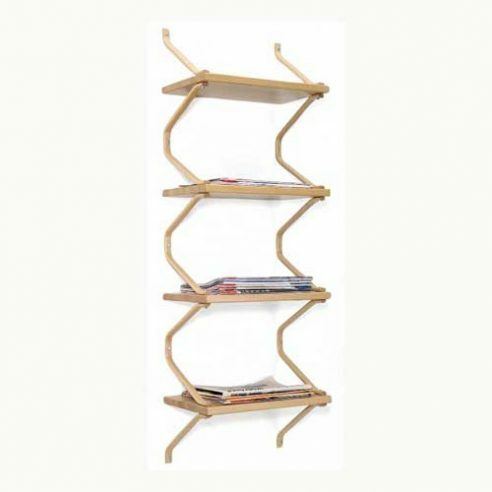 Designed by Bruno Mathsson in 1943 “The Magazine” is produced in 2 cm thick solid beech with laminated supports the shelves can be combined as required. The shelves are supplied with white painted steel mounting bars for mounting directly onto a wall. The four shelves are 23 cm deep with 26 cm of vertical shelf space.